On January 28, 1986, the tenth mission of the space shuttle Challenger ended in tragic disaster. We remember the seven astronauts who lost their lives that day, including Christa McAuliffe, who was chosen by NASA to pioneer its Teacher in Space program. On January 28, 1986, the American shuttle orbiter Challenger broke up 73 seconds after liftoff, bringing a devastating end to the spacecraft’s 10th mission. The disaster claimed the lives of all seven astronauts aboard, including Christa McAuliffe, a teacher from New Hampshire who had been selected to join the mission and teach lessons from space to schoolchildren around the country. It was later determined that two rubber O-rings, which had been designed to separate the sections of the rocket booster, had failed due to cold temperatures on the morning of the launch. The tragedy and its aftermath received extensive media coverage and prompted NASA to temporarily suspend all shuttle missions. In 1976, the National Aeronautics and Space Administration (NASA) unveiled the world’s first reusable manned spacecraft, known as the space shuttle. 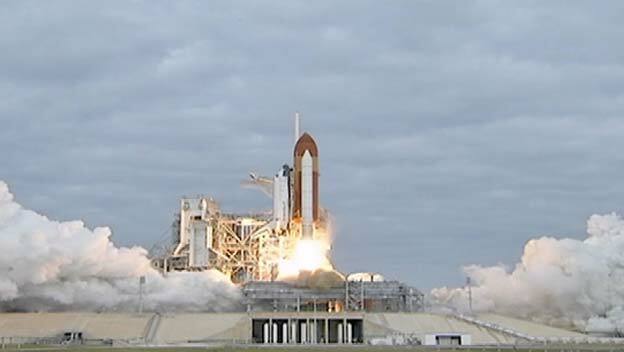 Five years later, shuttle flights began when Columbia traveled into space on a 54-hour mission. Launched by two solid-rocket boosters and an external tank, the aircraft-like shuttle entered into orbit around Earth. When the mission was completed, the shuttle fired engines to reduce speed and, after descending through the atmosphere, landed like a glider. Early shuttles took satellite equipment into space and carried out various scientific experiments. After “Teacher in Space” Christa McAuliffe was killed during the 1986 Challenger disaster, her backup, a former math teacher named Barbara Morgan, served as a mission specialist during a 2007 flight of the shuttle Endeavor. 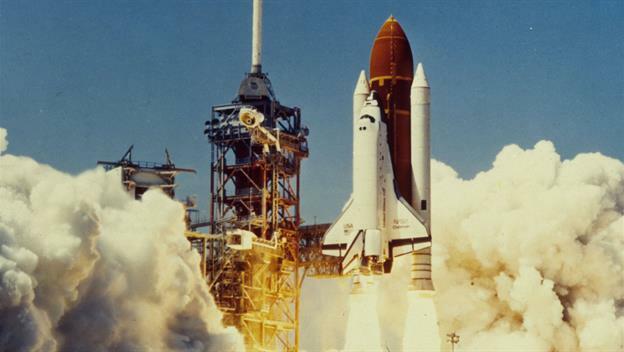 Challenger, NASA’s second space shuttle to enter service, embarked on its maiden voyage on April 4, 1983, and made a total of nine voyages prior to 1986. That year, it was scheduled to launch on January 22 carrying a seven-member crew that included Christa McAuliffe, a 37-year-old high school social studies instructor from New Hampshire who had earned a spot on the mission through NASA’s Teacher in Space Program. After undergoing months of training, she was set to become the first ordinary American citizen to travel into space. Shortly after the disaster, President Ronald Reagan appointed a special commission to determine what went wrong with Challenger and to develop future corrective measures. Headed by former secretary of state William Rogers, the commission included former astronaut Neil Armstrong and former test pilot Chuck Yeager. Their investigation revealed that the O-ring seal on Challenger’s solid rocket booster, which had become brittle in the cold temperatures, failed. Flames then broke out of the booster and damaged the external fuel tank, causing the spacecraft to disintegrate. The commission also found that Morton Thiokol, the company that designed the solid rocket boosters, had ignored warnings about potential issues. NASA managers were aware of these design problems but also failed to take action. Famously, scientist Richard Feynman, a member of the commission, demonstrated the O-ring flaw to the public using a simple glass of ice water. After the accident, NASA refrained from sending astronauts into space for more than two years as it redesigned a number of the shuttle’s features. Flights began again in September 1988 with the successful launching of Discovery. Since then, the space shuttle has carried out numerous important missions, including the repair and maintenance of the Hubble Space Telescope and the construction of the International Space Station. On February 1, 2003, a second space shuttle disaster rocked the United States when Columbia disintegrated upon reentry, killing all aboard. 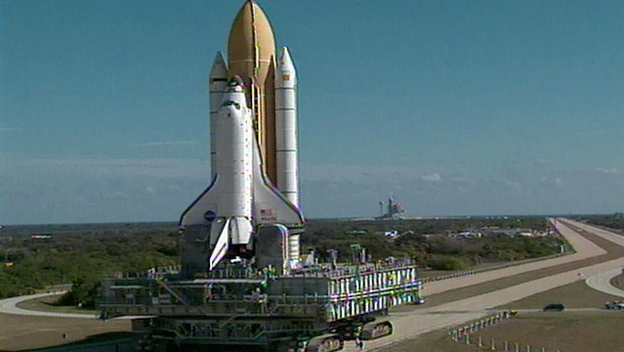 While missions resumed in July 2005, the space shuttle is slated for retirement in 2011. Ten years after the Challenger tragedy, two large pieces from the spacecraft washed ashore on a Florida beach. The remaining debris is now stored in a missile silo at Cape Canaveral.